The information in this document is not very interesting or unique. 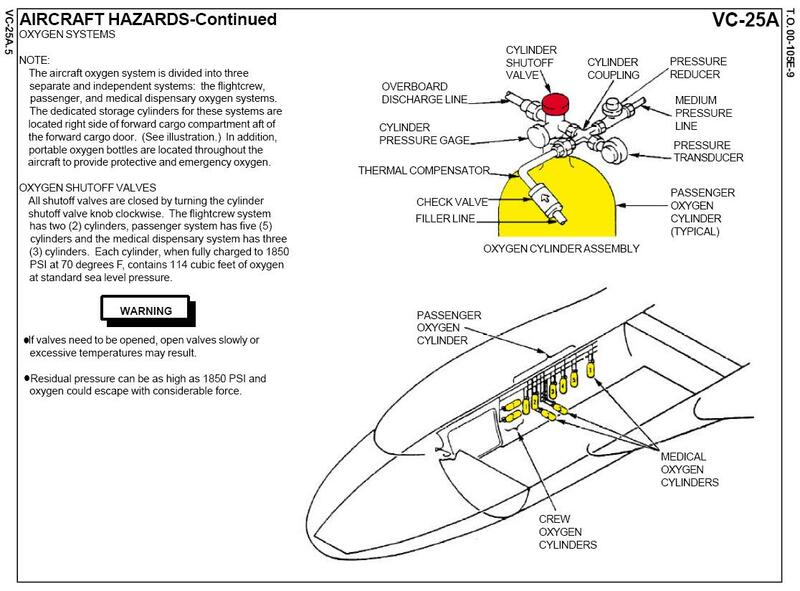 The location of the oxygen bottles is the same as any Boeing 747. 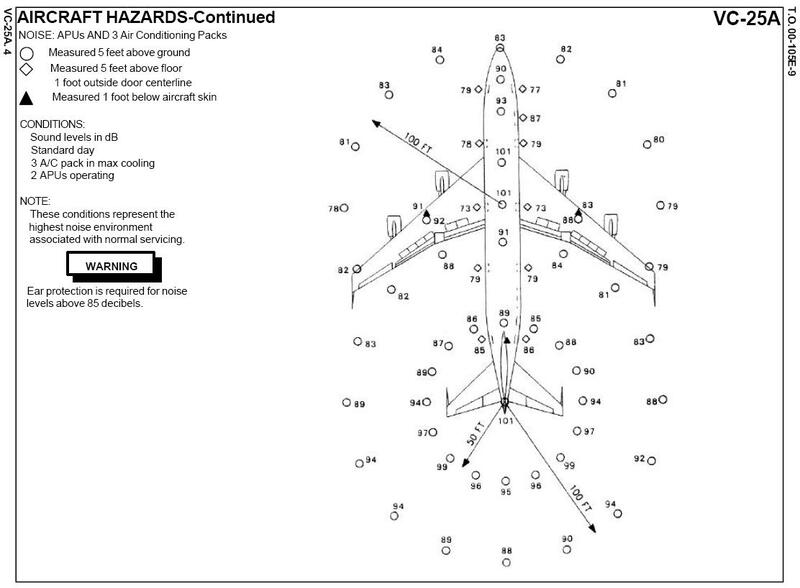 There are differing numbers of oxygen bottles on any Boeing aircraft. There are just extras in this picture. 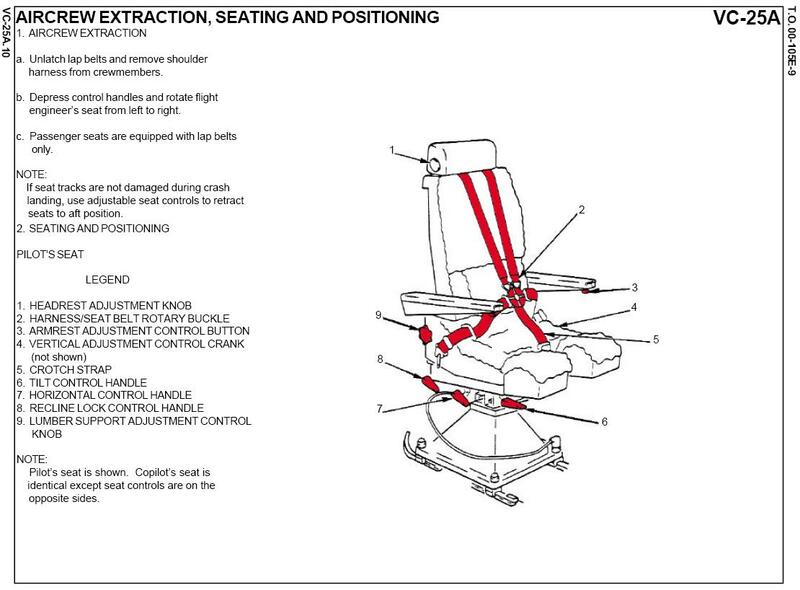 This is more likely due to the interior configuration more than any special needs. 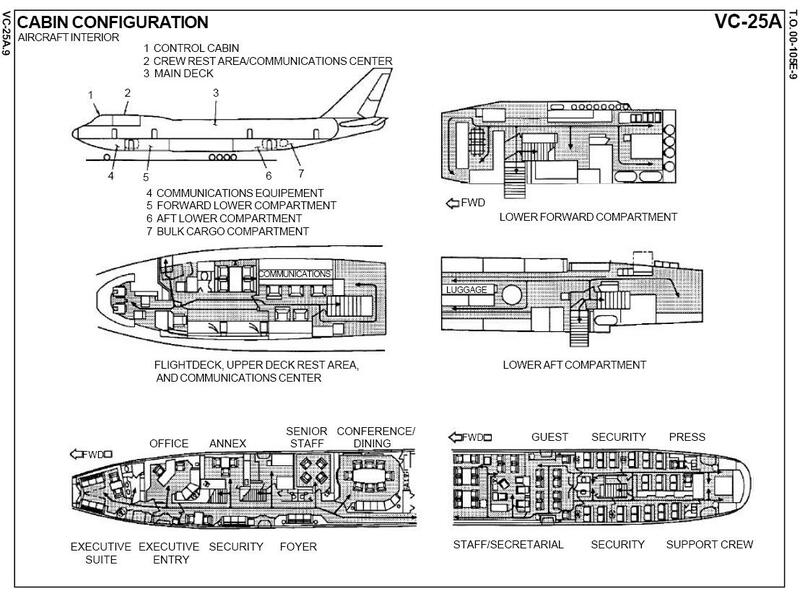 In a normal commercial 747 the medical oxygen is spread throughout the cabin behind seats and bulkheads. 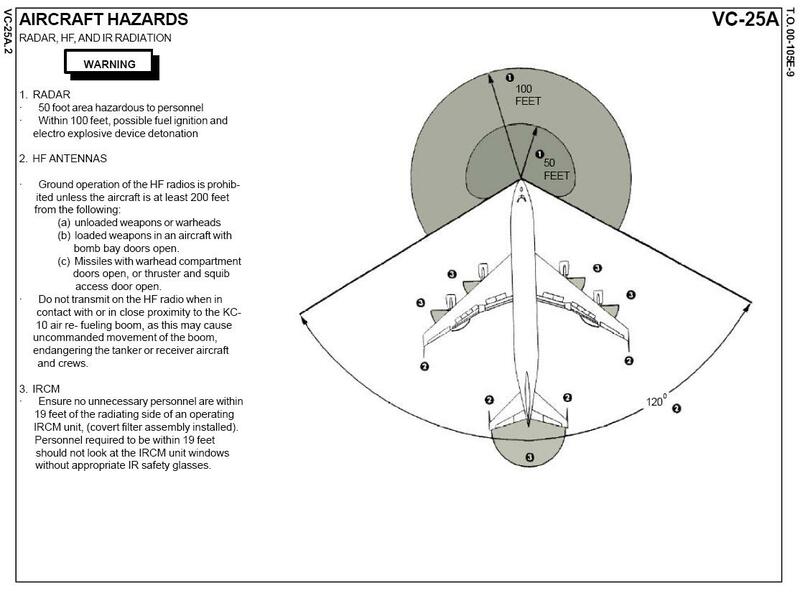 The information about the HF antennas would also be applicable to any commercial airplane parked at the gate of any airport. The IRCM locations are roughly the same as the locations suggested for commercial aircraft devices in the Counter-MANPADS research. 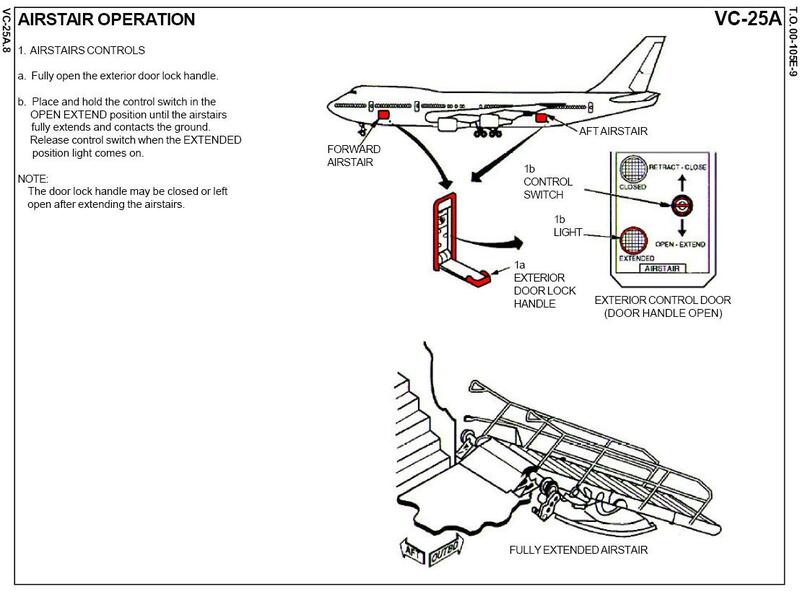 El Al is installing this type of system already. 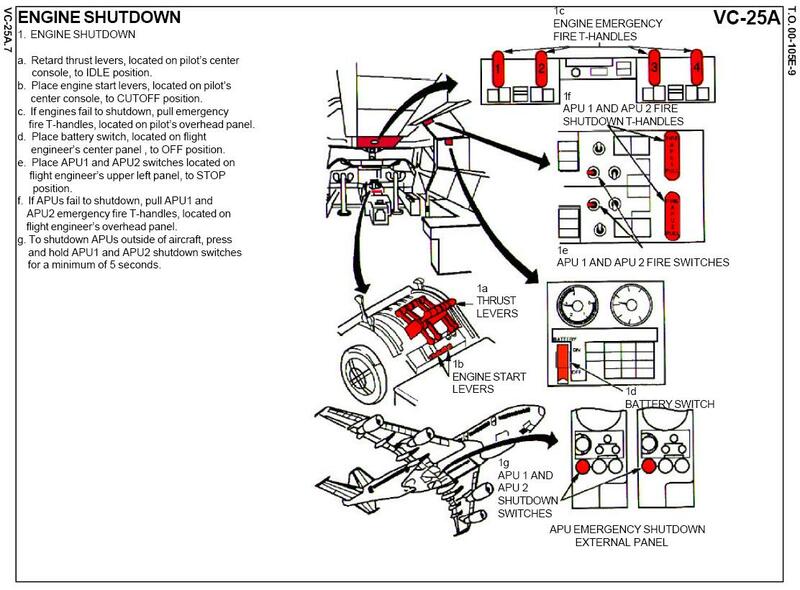 Engines, APU exhaust locations are the primary heat sources. 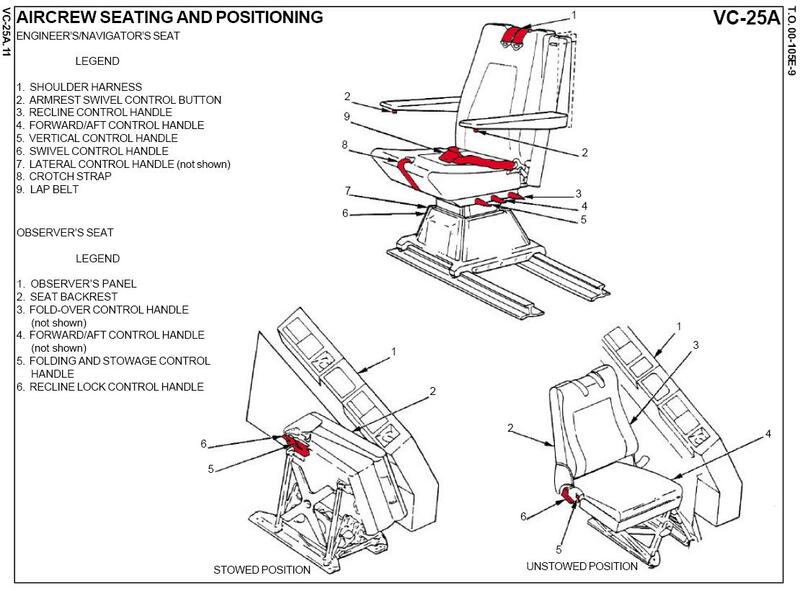 The cabin layout is not much different than the one Harrison Ford had. Anybody could guess the SS would be outside the office of The Man. 9 April 2006. Thanks for several to pointing to the article. The Air Force document was located by Google search. 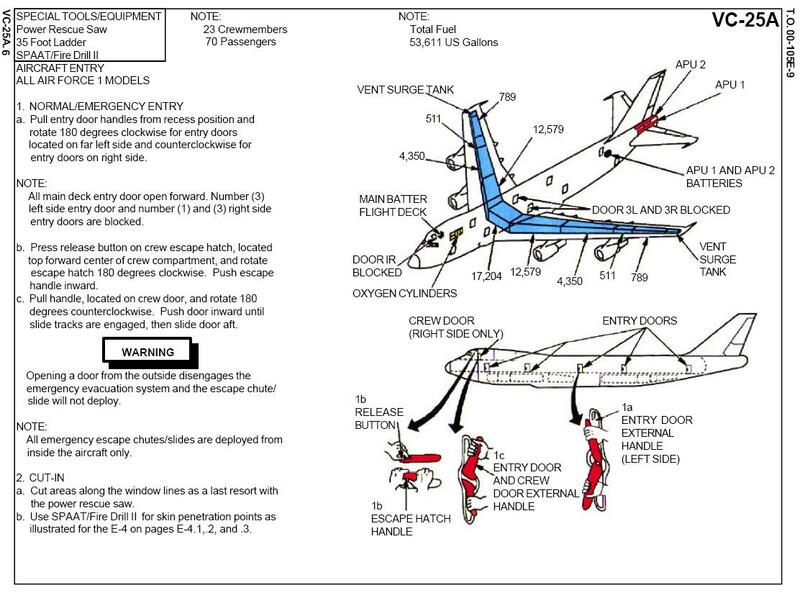 The document is not so alarming; it aids "emergency rescue and mishap response" for Air Force One by describing the design of the craft and its systems. Whenever the president travels, security is a prime consideration. Motorcade routes are kept secret, and premature release of information about a presidential trip aboard one of the twin Air Force One planes can result in the Secret Service canceling a visit. Thus, the Air Force reacted with alarm last week after The Chronicle told the Secret Service that a government document containing specific information about the anti-missile defenses on Air Force One and detailed interior maps of the two planes -- including the location of Secret Service agents within the planes -- was posted on the Web site of an Air Force base. The document also shows the location where a terrorist armed with a high-caliber sniper rifle could detonate the tanks that supply oxygen to Air Force One's medical facility. As of Friday, the document was still posted online. The Secret Service refused to comment on the document's release. "It is not a good thing" for that information to be in the public domain, said Lt. Col Bruce Alexander, director of public affairs for the Air Mobility Command's 89th Airlift Wing, Andrews Air Force Base, which operates the presidential air transport fleet. "We are concerned with how it got there and how we can get it out. This affects operational security." 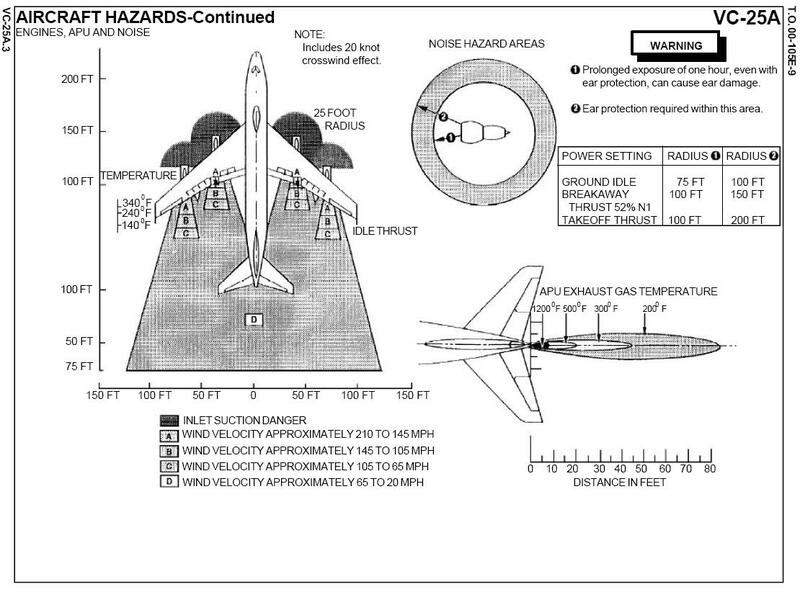 Information about Air Force One's anti-missile systems is considered particularly sensitive. "Having information about a target's countermeasures does two things," said Daniel Goure of the Lexington Institute. "It gives you an opportunity to choose a different weapon and to choose a different attack style ... perhaps choosing to launch a salvo attack, or choose a missile that uses an active beam." "It is tough enough for the Secret Service to do its job without this," said Leon Panetta, former chief of staff to President Bill Clinton, who now runs a public policy study center at California State University at Monterey Bay. "If I were still chief of staff, I would order the damned site (to) pull it down." This is a 12-page excerpt of the section on Air Force One. IRCM is Infra Red Counter Measures, anti-missile protection. 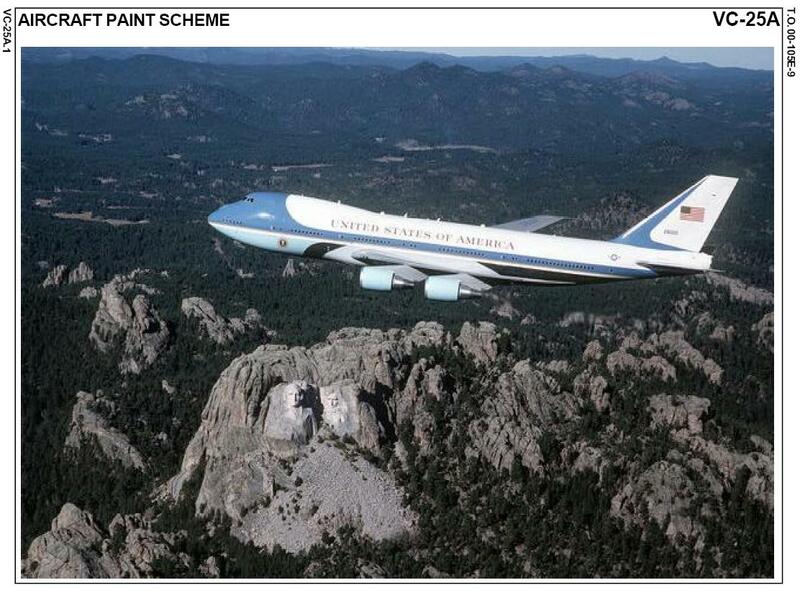 AP photos of Air Force One in flight between Sarasota, FL and Shreveport, LA, 11 September 2001.